HOLLYWOOD — A matriarch and Seminole legend – one with a long list of personal and professional accomplishments – was honored on the Hollywood Reservation Jan. 16. 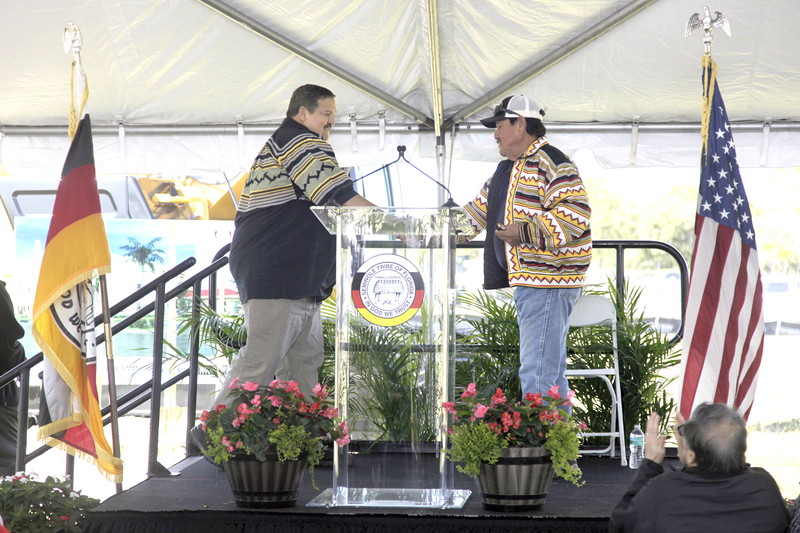 A ceremonial groundbreaking for the Betty Mae Jumper Medical Center took place on a plot of land just southeast of the Seminole Classic Casino, with the towering 450-foot guitar-shaped hotel at the Hard Rock Hotel & Casino Hollywood looming in view to the north. West was at the ceremony and shared some of her knowledge of Jumper. Jumper, born in 1923 in a Seminole camp in Indiantown, Florida, died in 2011 at age 88. 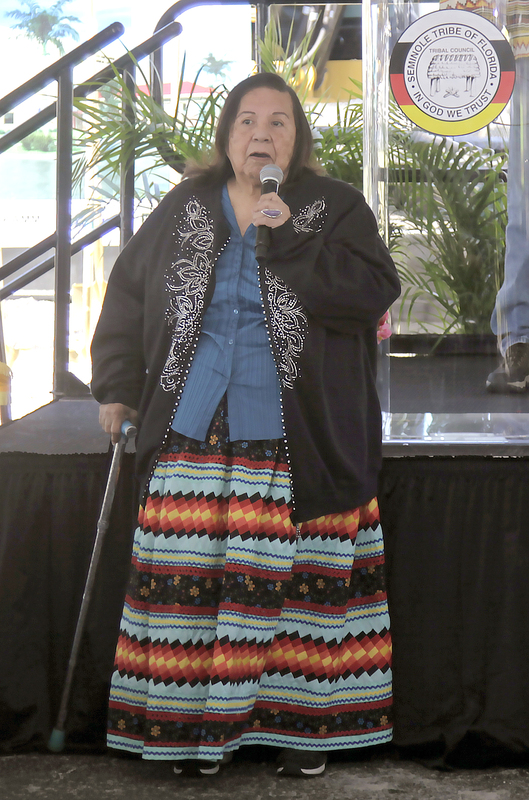 She was the Seminole Tribe’s first and only Chairwoman, beginning in 1967 at the age of 44. 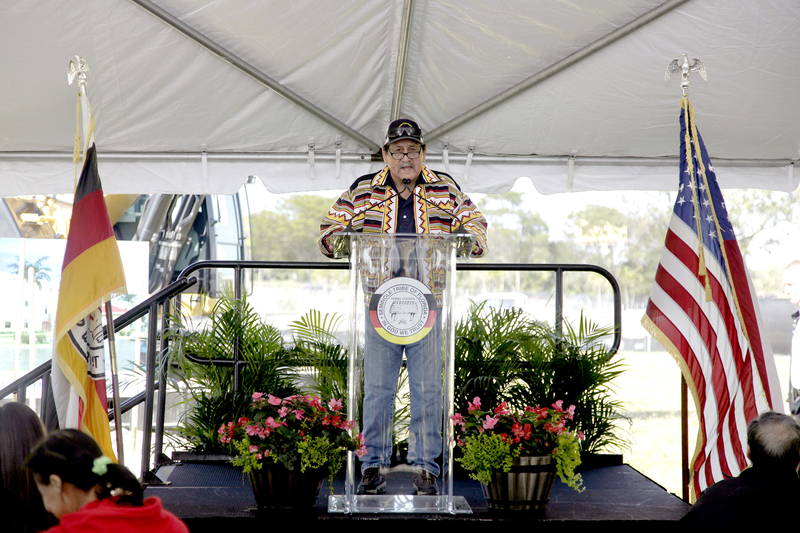 Jumper Jr. served as the master of ceremonies for the groundbreaking, where generations of his family were in attendance. 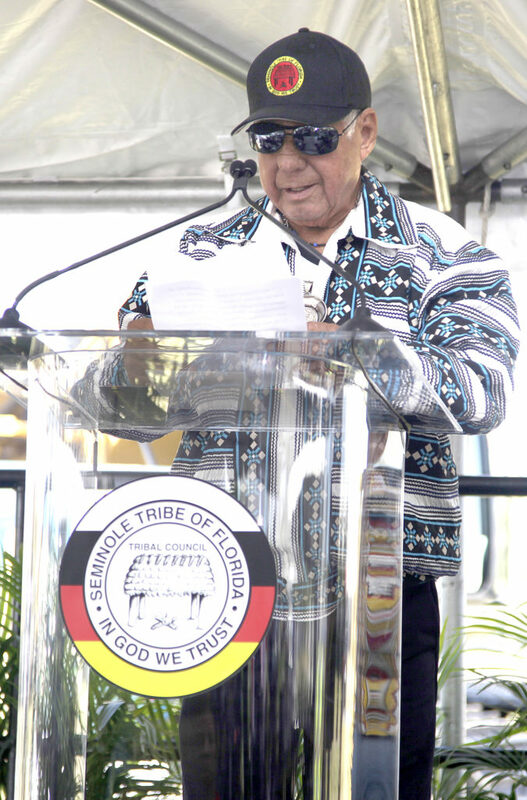 All the members of the Tribal Council and Board of Directors, including many former Tribal leaders, spoke in glowing terms of Jumper and the work she did on behalf of the Seminole people. President Mitchell Cypress said Jumper was his first boss when she was the director of health in 1974. Cypress said when he was born at Jackson Memorial Hospital in Miami it was Jumper who took the time to visit his mother and is the one who gave him his name. “She’s the best lady in the world. I really admire her,” President Cypress said. Hollywood Board Representative Gordon Wareham reminded everyone of a taste of how many hats Jumper wore in her life – alligator wrestler, historian, author, editor, educator and storyteller. “I learned how much love this lady had for her people. Not just her Reservation but for all her people. It was a great honor to know this lady. This building will remind us that we live on the shoulders of great people, great leaders,” Rep. Wareham said. Family members and friends spoke of her big heart and shared warm memories they had of her as a generous person and loving mother. “She will never be forgotten because she lives inside every single one of you,” Chairman Marcellus W. Osceola Jr. said to the rows of Jumper’s relatives in the audience. “She knew we needed health care in our lives,” he said. Of Jumper’s many titles and accomplishments, she is well known for her work and advocacy in the realm of health care. She was a nurse for 40 years. The medical center is named after her, in part, for that reason. Councilman Osceola pointed out that the new clinic is actually the second to be named for Jumper. The first was dedicated in Hollywood on Feb. 10, 1984, but it has largely been outgrown. “Moving forward with this new complex, I believe it’s the future for the Hollywood community and it will be here to serve us for many years. 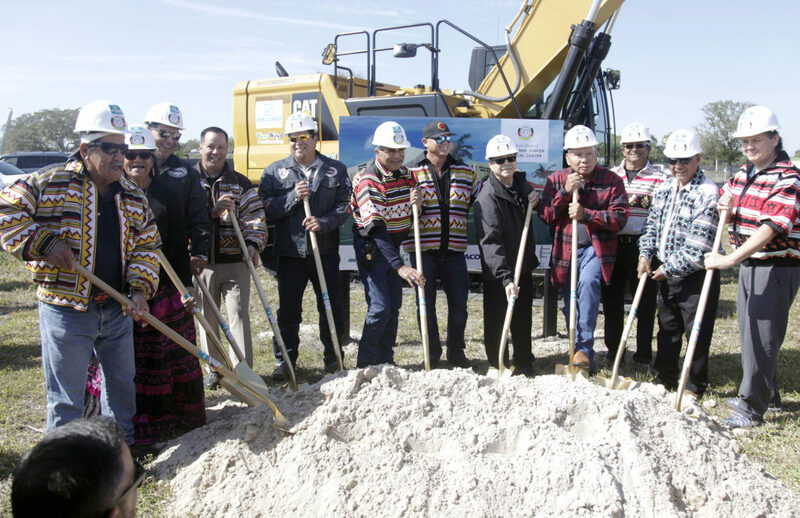 All our services will be in one building and we’re adding services that we’ve never had here on the reservation before,” Councilman Osceola said. The medical center will be two stories tall and 40,000 square feet. “We will have new pediatric dentistry services. 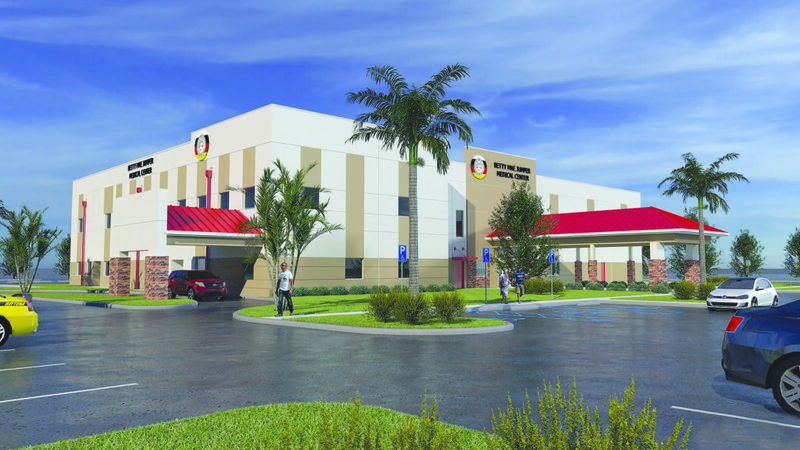 We already provide medical pediatric service, but it will be expanded to include more treatment rooms,” said Dr. Paul Isaacs, executive director of Health & Human Services for the Seminole Tribe. “Essentially, all programs under Health & Human Services will be under the same roof to provide integrated and care coordination services,” he said. • A pharmacy, including a drive-thru option. • An additional triage station. • Space that can be utilized during hurricane season to house special needs Tribal members in the event of an evacuation. • Health plan administration to discuss benefits; advocacy and guardianship. • Mental and behavioral health. • Chiropractic, spine care services. “The new [center] is significant in that it will provide more urgent care services than is currently offered at the present clinic. Additionally, the services will be integrated and provide for enhanced service delivery and ‘warm hand-offs’ for referrals within [Health & Human Services],” Isaacs said. Isaacs has a background that includes both clinical and administrative experience. He has more than 20 years of experience in health care, health care leadership and transformation, and process improvement. The center is designed to be a hurricane category 5 rated building. It will have dedicated parking, storm water drainage areas, water and sewer infrastructure and an emergency generator unit. Construction is expected to begin soon. It is expected to be completed in the spring of 2020.